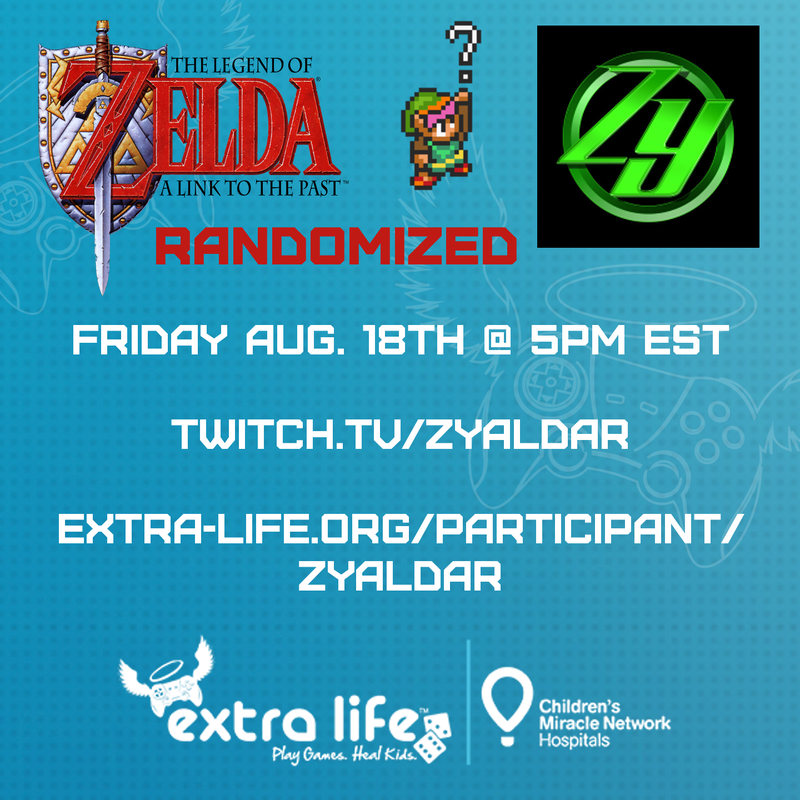 For raising $100 I will be running a randomized Zelda: A Link to the Past Romhack. This means every item in the game is randomly placed in different locations and chests! Every Extra Life donation I receive I will be giving out a free Steam game giveaway!